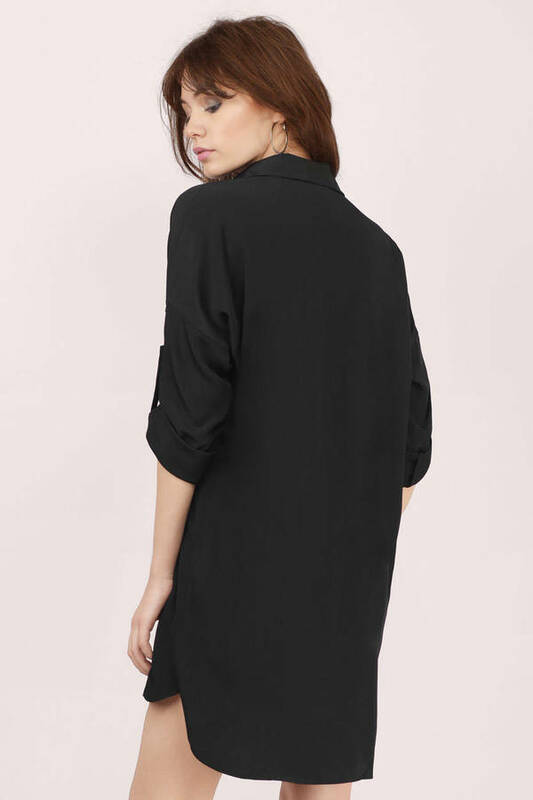 Check out Tobi's Tie Me Down Shirt Dress Get the casual look with the Tie Me Down Shirt Dress. Featuring a front button down and front pockets. Pair with a heeled sandal and a bold watch. Get the casual look with the Tie Me Down Shirt Dress. Featuring a front button down and front pockets. Pair with a heeled sandal and a bold watch.